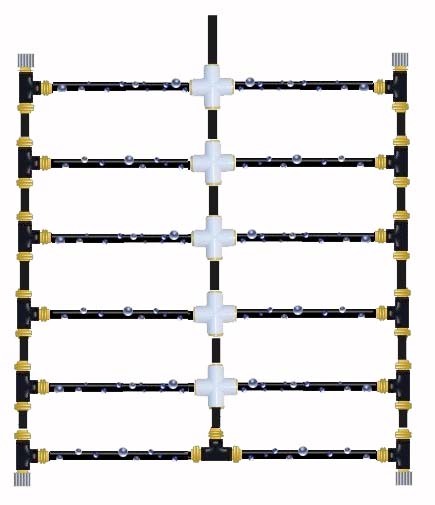 Use the .580 Compression Cross for four-way connections of .580 drip tubing or soaker hose. 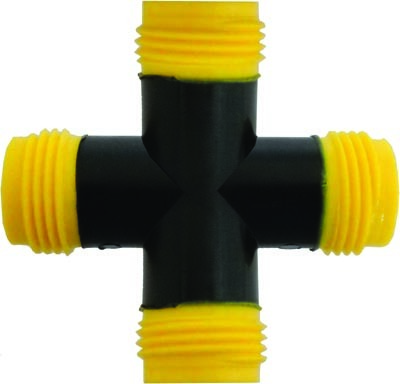 The Black and yellow compression fittings are unique. Besides being compression they also have male hose threads to make them very versatile. They also make it easy to water from a central location of the garden, which gives a more even water distribution, like the diagram below. What would make this design even better, would be to have the water come in at the very center of the garden. This is also considered a closed system, where you have a continuous flow of water. Note how a cap is used on a tee, to create an elbow.